Egyptian rabbi and author of the sixteenth century. 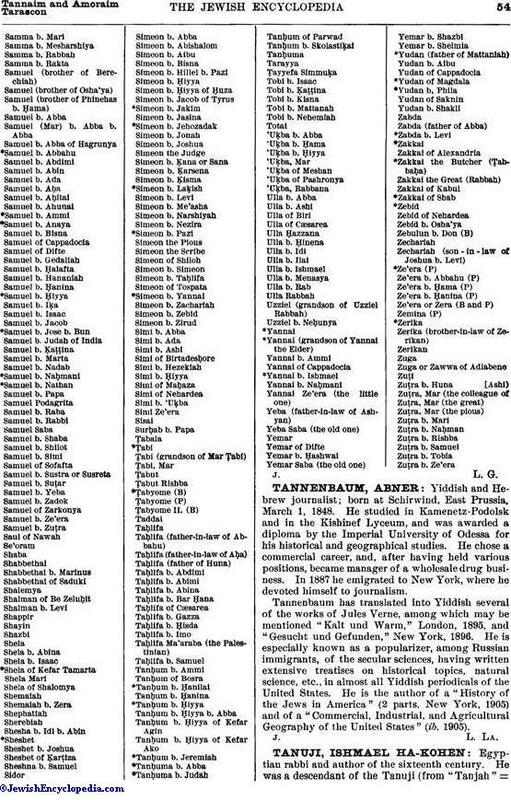 He was a descendant of the Tanuji (from "Tanjah" ="Tangiers") family of Tunis, to which belonged R. Samuel ha-Kohen and his son R. Judah, both rabbis of Jerusalem. In 1543 he wrote a book, popular in style, entitled "Sefer ha-Zikkaron" and containing halakic decisions on current topics (Ferrara, 1555). As the chief of the Egyptian rabbis he appended his name to an approbation of the responsa of R. Elijah ben Ḥayyim (Ranah). 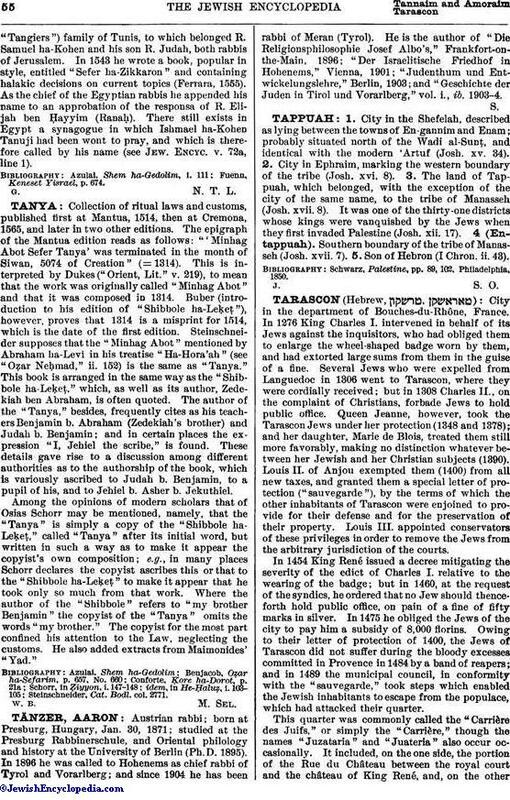 There still exists in Egypt a synagogue in which Ishmael ha-Kohen Tanuji had been wont to pray, and which is therefore called by his name (see Jew. Encyc. v. 72a, line 1). Fuenn, Keneset Yisrael, p. 674.